Sometimes the biggest innovations in your life can come from the most everyday items. 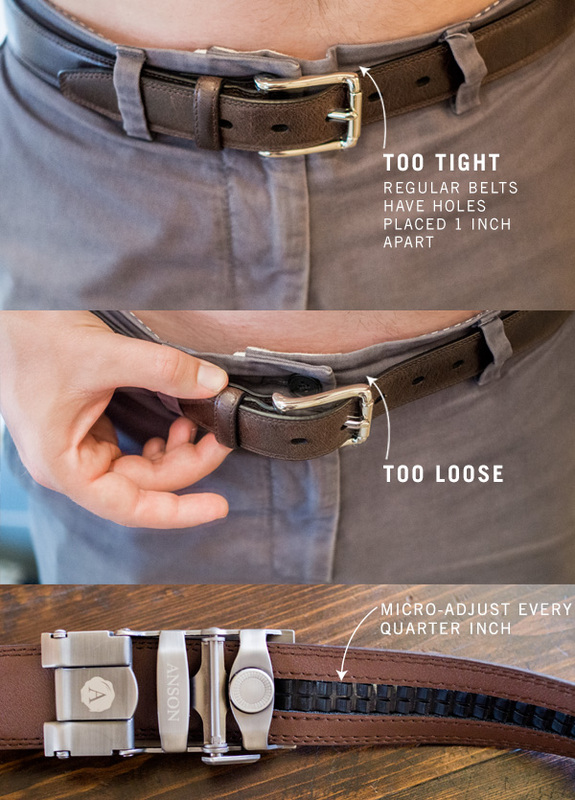 Anson Belt & Buckle has made belts what they should have been all along: Perfect fitting, stylish, and interchangeable. We're proud to partner with them on this post. “Build a better mousetrap, and the world will beat a path to your door” is a phrase often – and mistakenly – attributed to Ralph Waldo Emerson. No matter. Whoever said it was a stone cold genius. If you can make a better version of something everyone uses, the thinking goes, everyone will want your product. And we just happen to be living in the era of better mousetraps. When it comes to items we use every day of our lives, it’s easy to overlook the inconveniences built into them. 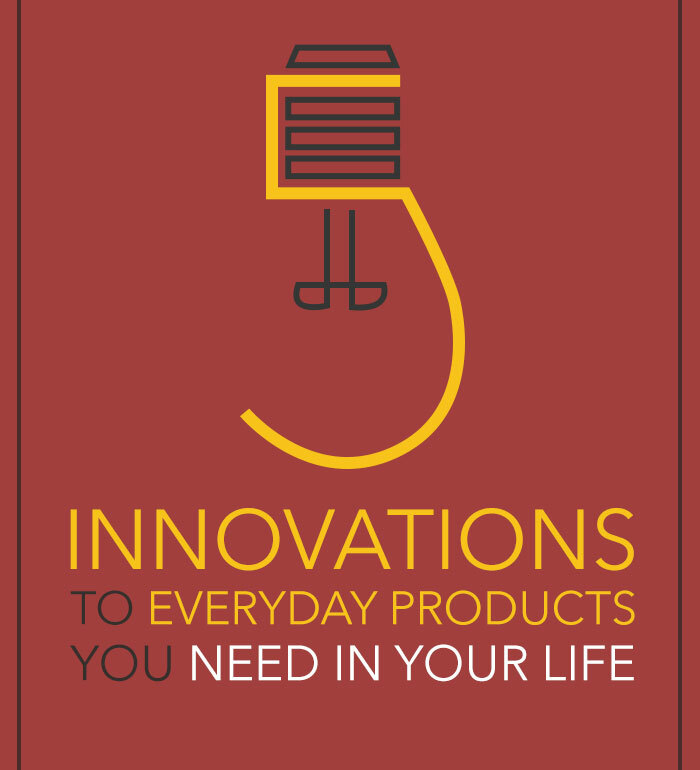 True innovations – and the greatest inventors – reimagine products without their flaws. So we’ve compiled a few of our favorite everyday products that have been “mouse-trapped:” reimagined or tweaked to make them more functional, efficient and enjoyable. Finally, someone solved the belt no-man’s land. If you’ve ever gained or lost a bit of weight you know what we’re talking about: suddenly, you’re between two belt holes and S.O.L. for comfortable, properly fitting pants. And if your weight is relatively stable, you definitely have that pair of pants where your normal belt hole is too tight, but going one hole over is so loose the belt doesn’t perform its function. Imagine shoelaces that could only be tightened in 1” increments – you’d be stuck with the same fit regardless of how thick your socks are, or whether you’re running errands or a marathon. Anson Belt & Buckle tackled this issue by offering a belt with 30+ waist options a quarter inch apart, making it impossible – unless you change careers to olympic weight lifting – to ever be trapped in the belt no-man’s land again. It’s genius and yet blazingly obvious. 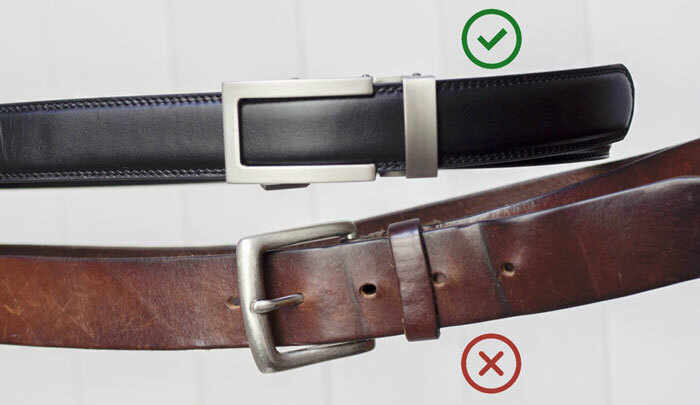 Why shouldn’t your belt always fit, no matter what size you are? 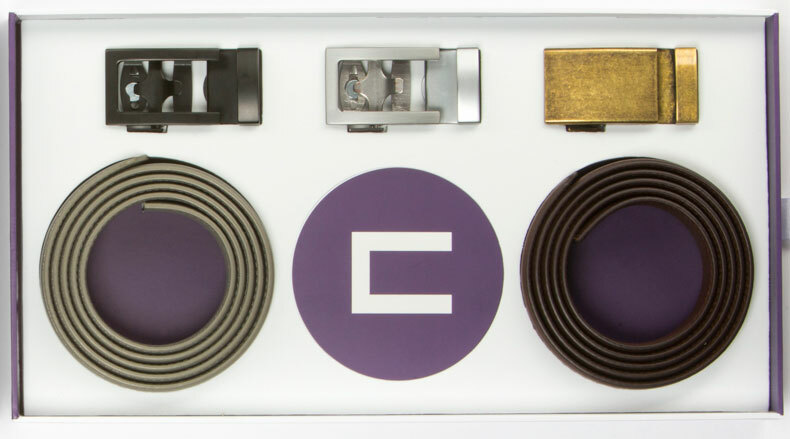 The micro-adjustable system is universal throughout Anson’s suite of casual and dress belt styles and interchangeable buckles, giving you a ton of flexibility when it comes to belting options. With materials ranging from full grain leather to nylon to suede and buckle styles from casual to formal, the investment in two buckles and three or four straps means you have every style of belt you’ll need for the vast majority of style applications. Add to that free shipping on all U.S. orders and a flexible lifetime guarantee and we have to admit – Anson Belt & Buckle may have built a better mousetrap. Coffee grounds, on the other hand, are the worst. 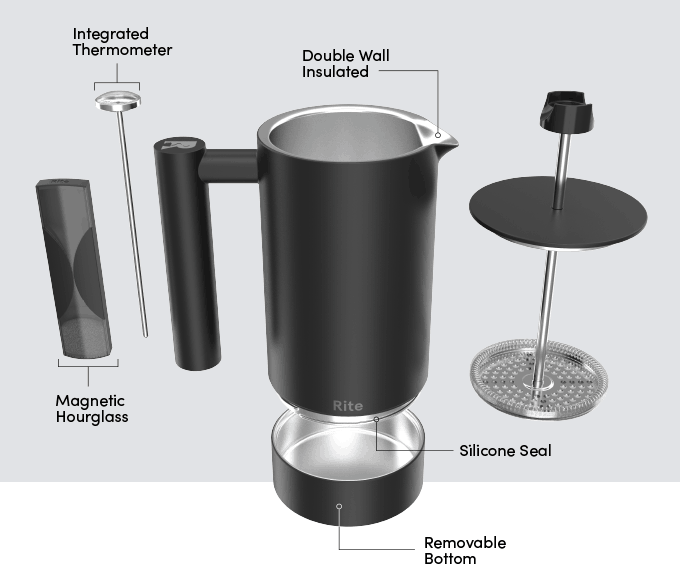 Picture it: you’ve just finished your precious morning cup and go to clean up and have a squidgy, primordial muck of grounds thoroughly entangled with the mesh of your french press. To clean it you have to apply multiple rinsings or the infamous scoop n’ dump. It’s tedious. It’s annoying. It’s a buzz kill when you least need it. A french press shouldn’t have the same cleanup as a litter box. That’s why we’re so excited about the Rite Press. Its creator used fancy physics and engineering to shunt the grounds into a simple, removable chamber at the bottom of the press to make clean-up a cinch. 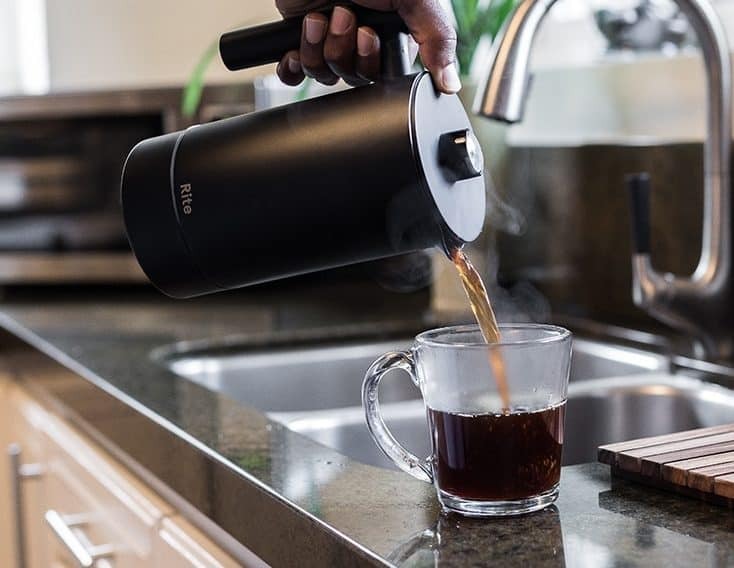 Not satisfied with his already-improved mousetrap, he added an integrated thermometer so your joe is always brewed at the correct temperature and a spinning hourglass attached to the side for brew time. The Rite Press is getting its start on Kickstarter, and has already been backed by half a million dollars – far exceeding it's $20k goal. For the next month the Rite Press is still steeply discounted for backers, so consider checking it out. Primer's founder Andrew backed the project and will review it when he receives it. 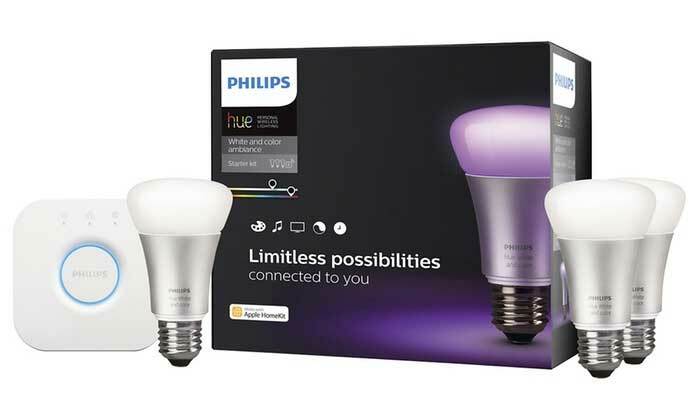 While there are a ton of “smart” home enhancements out there, none have been integrated into our every day the same way as the Philips Hue. 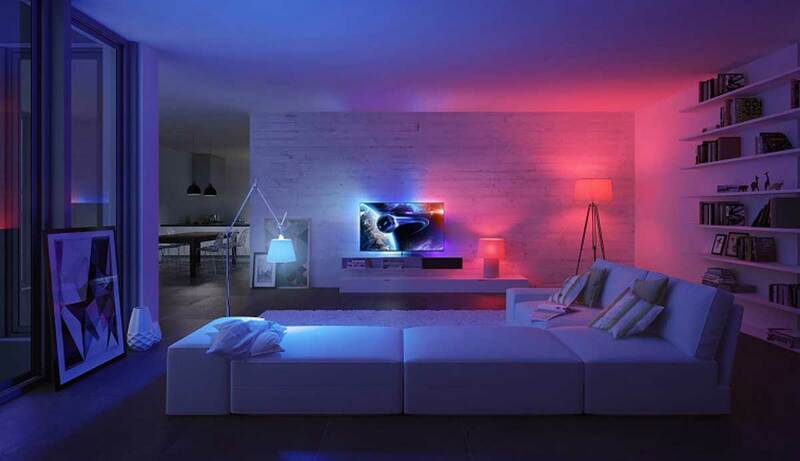 It's a wifi-enabled smart lighting system that allows you to control the brightness (and color) of all the installed Hue bulbs from your phone via the app or with Siri/Google voice integration. The novelty of turning your living room lighting from blue to red to pistachio to confetti-colored in an instant is probably not worth the price, but being able to adjust the infinitely dimmable 50,000 shades of white to dial in the perfect color temperature for different applications like working, romancing, or cooking has proven to be a game-changer. The real utility of the system lies in the “recipes” you can create for different rooms, moods, or situations. You can create a custom lighting recipe of different lights for reading, studying, hosting, or watching a movie – all tailored to enhance mood, presentation, and wear-and-tear on your eyes. For example, we’ve found journaling before bed is enhanced by adjusting to red light – it’s easy to see and doesn’t mess as much with sleep as blue light. The system’s features are deep: you can set recipes to happen automatically based on certain triggers like your geolocation (turn lights on or off when you come and go) or time of day (have lights turn on like an alarm clock, or automatically dim at 10PM). You can have them turn on automatically if you’re away (and spoof the casual burglar), or have them serve as an ultra-dim nightlight. You can set timers to change colors or brightness that can act as a silent pomodoro timer. The possibilities are wide-ranging. We like that setup is simple, too. Connect the Hue bridge to your wifi, screw the bulbs in to a socket and you’re ready to go. The science is in! If you spend most of your day sitting you’re killing yourself. Literally. Ok, maybe sitting doesn’t automatically equal death but reducing the amount of time you spend sitting every day has been linked to benefits from reduced risk of obesity and cancer to longer life. We prefer standing for part of the day because it just feels better. The barriers to implementing a standing desk routine are twofold: first, if you go 100% standing desk it can be fatiguing and even bad for your joints. Second, if you opt for a quality adjustable setup it can get expensive – even a basic table top adjustable surface will set you back hundreds. A fancy free-standing model can run thousands. Third, you can go bargain – but beware. Several cheaper models we’ve tested are unstable, not fit to support more than the weight of a thin laptop, or just a hassle to adjust the thing. We think Ready Desk addresses most of those issues. 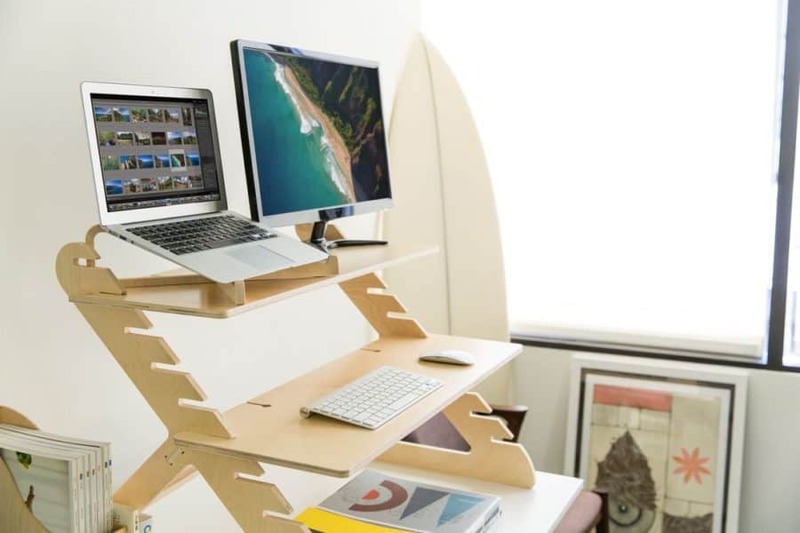 Ready Desk is a line of standing desk products that shine for a few reasons: they’re durable, adjustable, and comparatively inexpensive. And the best thing: you don’t have to commit to a full day of standing to start reaping the benefits: Ready Desk is large enough to support two monitors but slim enough to stow to the side of your workstation or on the floor. The 9-ply birch wood material is pleasing and a huge improvement over the plastic and thin metal of comparably-priced models. Amazon.com This 7-plus-in-1 wonder-device has taken the internet and millions of kitchens by storm since it launched in 2010. By 2017 it was one of the top selling products on Prime Day and has been developed a cult following who call themselves Pot Heads. Hype aside, what is the Instant Pot? It’s a combination pressure cooker, slow cooker, rice cooker, yogurt maker, egg cooker, sautér, steamer, warmer, sterilizer, and – as the Amazon listing points out – it can make cake. It’s the multi-functionality that makes the Instant Pot compelling. If you own a slow cooker, pressure cooker, rice cooker, and steamer than you already know just how much space all those devices take up. Wouldn’t it be nice to combine a few and free up some counter or storage space? Instant Pot adopters we know haven’t trashed their old appliances, either – they’ve given them to friends or donated them to Goodwill and never looked back. If you don’t already own all those items the Instant Pot is the solution, and if you aren’t using a slow cooker, rice cooker, and (possibly) a pressure cooker to efficiently whip up delicious weekly meals you need to get on that – it saves money, time, and you eat better along the way. Developed by a computer science PhD with a specialty in AI, the Instant Pot aims to be a little R2D2 helper bot in the kitchen: Select from its menu of preset cooking programs and it will take care of the rest. Dual pressure settings reduce cooking time by up to 70%. Bluetooth connectivity and an app round out its undeniable high tech. 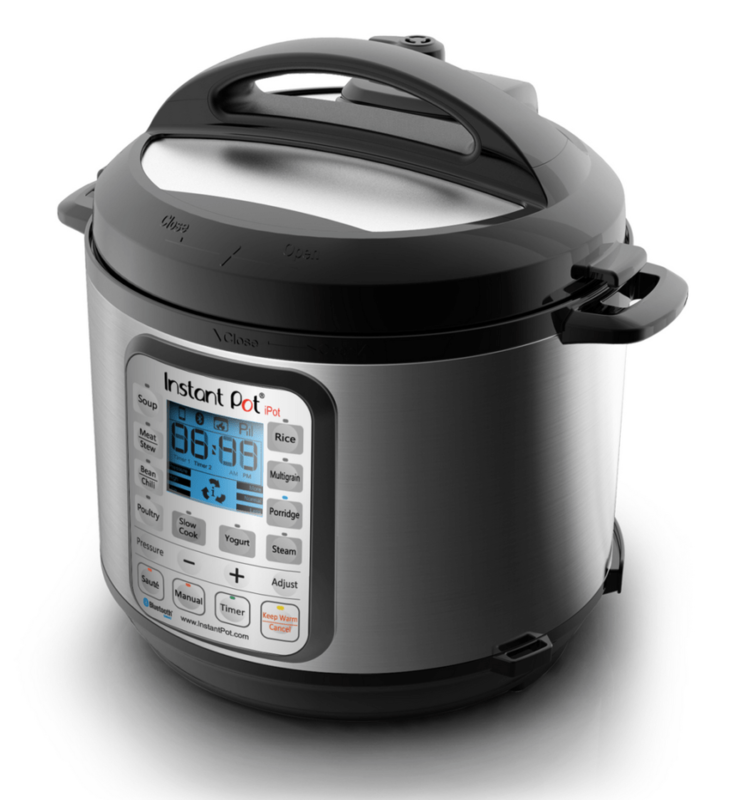 Starting at $129 for the 6-quart model, check out the Instant Pot on Amazon. What is your “better mousetrap” device? Share your knowledge in the comments below! I love the Instant Pot and would just add that it has been on sale on Prime Day and Black Friday for the last couple years. I think I got mine for $60 on Prime Day a few years ago. Great article! That’s awesome! What do you make in it? haha! Why would it blow up? I get my belts from SlideBelts (https://www.slidebelts.com/). They just introduced a 1.5″ belt / buckle combo. Sometimes I hate how you have such a nice belt and you have a large belt loop. I’m looking forward to getting the larger belt buckle to see if it resolves that problem for me. Go with the original, friends: Mission Belt (www.missionbelt.com). They launched on Shark Tank (I think?) before other brands started copying. Happy to be wrong, and no it’s not my company; but I’m fairly certain they’re the OG in the slide belt world. And yeah, they’re amazing. Hi Bryan! David Ferree here with Anson Belt. I’m so sorry for the confusion. It’s unfortunate that Mission mislead so many people (including Damon) into thinking that they were the originators of this type of belt. The concept has actually been around for over 50+ years in Asia. When my father discovered it in China in 2006 there were two other companies selling them online in the US. One is out of business (we now own the domain), and the other doesn’t seem to be actively marketing. As we established ourselves in 2009 and I was doing market research on these types of belts another competitor popped up. When I first saw them online I knew that we were not going to be alone in bringing this type of belt to the US, and more would soon follow. That company ironically enough was founded by the cousin of the founder of Mission Belt. It turns out that cousin (the guy you saw on Shark Tank) went behind his cousins back to start Mission Belt. It wasn’t until Mission went on Shark Tank that the owners of our other competitor realized that their cousin had created a hole-less belt company of his own without their knowledge. There was nothing illegal about it as the particular model they were both using (as well as us) is an open design concept that can’t be patented, however it was definitely a dirty move. You can read all about it on reddit here…https://www.reddit.com/r/self/comments/1i1e9y/my_cousins_lied_to_my_brother_stole_his_business/. Moral of the story is though no, they definitely weren’t the first, or even the fourth. However, I won’t deny the concept they use is a good one. Any hole-less belt in my opinion is a better solution than a 5 hole belt. There are definitely options out there when it comes to micro-adjustble, hole-less belts. We feel though that our quality, vast selection of materials and finishes (over 1,600+ combinations), our lifetime guarantee on functionality, and exceptional customer service has set us apart from our competition and are all reasons why we are going on our 9th year in business. I rarely wear belts since most of my jeans fit me properly or I get ’em fix, not to mention I’m allergic to metal/aluminum sitting against my skin (and this tends to happen with belt buckles). Needless to say I don’t foresee myself purchasing a belt in the near future. However if a random internet comment garners this amount of attention to detail. I can only imagine customer service. With all that said, just wanted to wish you and the company the best of luck and if I’m ever in the market for a belt I’ll definitely have your guys’ product on the top of my list. I really appreciate that Miguel! Absolutely, customer service is our #1 priority. If there’s ever anything that we can help you with in the future please don’t hesitate to reach out. Thank you again for the kind words and I hope you get to try on an Anson Belt soon! The Rite press seems perfect for me. I’ve been cleaning out French presses for too long. And not to mention the Rite Press looks much more compact. I’ve also had my eye on Anson belts. I’ve heard so much good things about them I’ll have to give them a shot. Go with a pour over and throw the the filter out with it – much easier. Definitely easier for clean up, but if you’re making coffee for more than one person it starts to be a pain. I’ve realized I’m a bit of a coffee nerd because I have like 10 methods for making coffee. They all create a different product based on flavor, mouthfeel, intensity, and such. I’m doing daily pourovers right now, but am looking forward to trying the Rite press when it arrives for guests and for clean up. I’ll keep you posted. What kind of pour over are you using? Hario-style, Chemex, etc? Good shout Chris. I’ll give that a go. I’m most excited about the french press. Sounds great. Yeah, I’ll keep you posted when I get it! Oh… Samsung’s Smartthings and their family of products… it links my security system, fire system, lights, heat and various plugs throughout my home and helps me keep track of it while I am on the road for my job… Amazing product! Very interesting, I’ll look into it! Yeah dude, things like websites cost money. These seem to align to primer’s normal stuff. This post is in partnership with Anson, and we have a big call out for that on the top of the post. We do that with all sponsored posts and insist on being super up front when we do partnerships with companies. But, just because we do a sponsored post does not mean it’s a shill for any company that will give us money. A post on Primer can only be sponsored when we believe in the brand, and when we find a brand that believes in the values of Primer. Because of that, all words and opinions are our own, and not in control by any sponsor. And I would never agree to work with any brand/product that I don’t think a large portion of our community would find valuable. Simply put: We collaborate on sponsorships when it’s a no-brainer for fit with what we do – and our opinions aren’t for sale. Never have been, never will be. I appreciate you reading and for commenting! Don’t standing desks end up hurting your neck, when it’s hunched down to look at the screen (for all those on the average to taller size?). The angle it causes is like 80 lbs of pressure on your neck if it’s not truly ergonomical. I’ve just started experimenting with standing desks, but I believe the goal is to have the monitor at eye level so that doesn’t happen. Basically the same alignment of head, eyes, and hands as a good sitting position, but without the sitting. With Philips Hue you can make amazing light in apartment, I saw it, it looked like an piece of art.